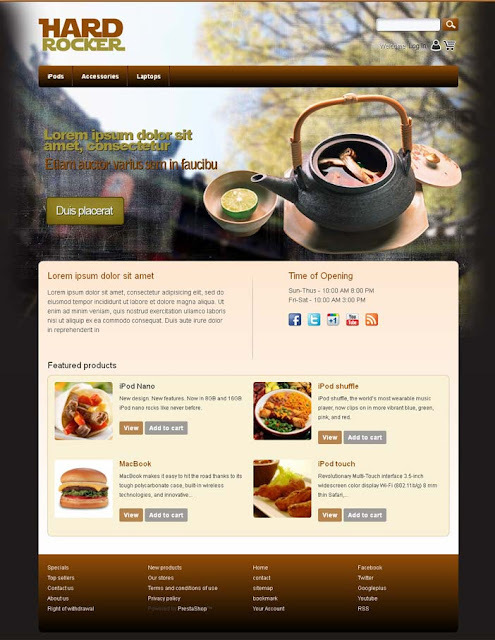 HardRocker themes is in darkbrown with restaurant effect . It is specially suitable for restaurant,bar, hotel, coffee shop. This theme comes with social links with facebook fan box with back office configuaration. Product catalog is in top menu . 1 Column is in home,login &cart page and 2 Columns are in all pages. It’s easy to install and do not takes more than 5 minutes. 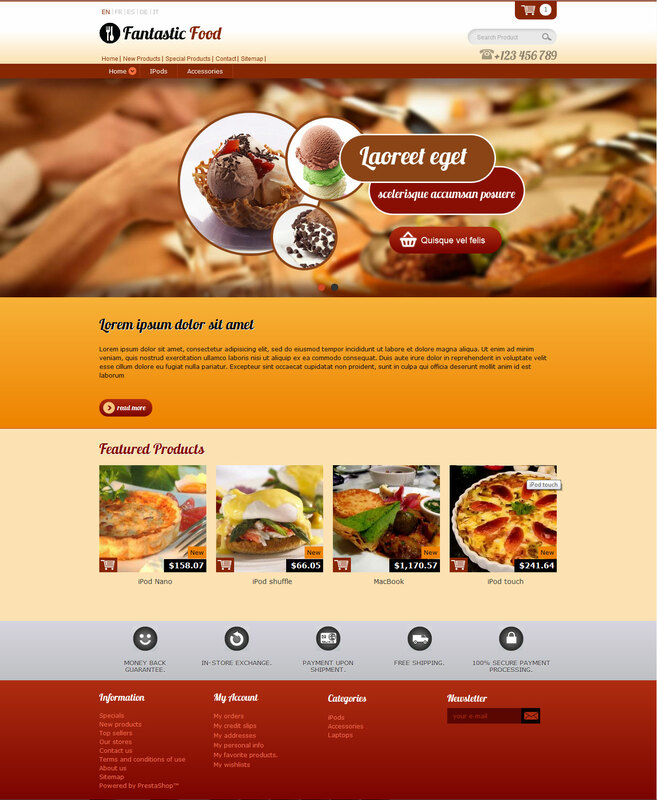 This entry was posted in Brown, restaurant and tagged Brown Themes, ipad prestashop themes, iphone prestashop themes, prestashop 1.4.8.2 themes, responsive design, Responsive Prestashop Themes, restaurant pretashop themes, restaurant themes on May 19, 2012 by devilthemes. 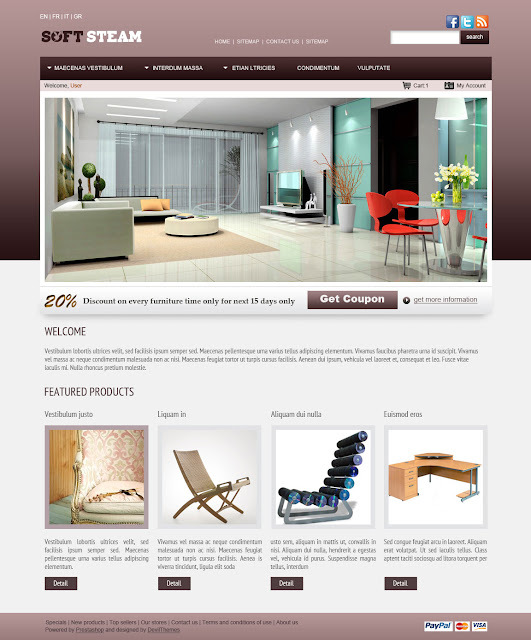 This entry was posted in Blue, Brown, Color, Furniture, Pink, Show all Themes and tagged Blue theme, Brown Template, Brown Themes, Furniture Themes, Interior Design Template, Interior Design Themes, Pink Theme, prestashop themes on February 24, 2012 by devilthemes.